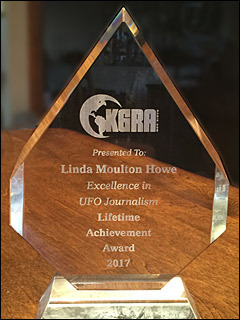 September 9, 2005 New York, New York – The American government has worked so hard to convince the media and public that there is no substance to reports of unidentified flying objects and extraterrestrials, that even famous rock stars have tried to hide their own encounters with non-human entities and craft. 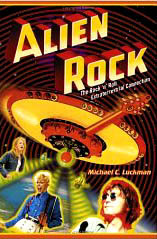 But now there is a new book recently published by VH1 and Pocket Books entitled Alien Rock: The Rock ‘n’ Roll Extraterrestrial Connection by Michael Luckman. Mr. Luckman grew up in New York and in the early 1970s was Director of Publications for the New School for Social Research in Manhattan. 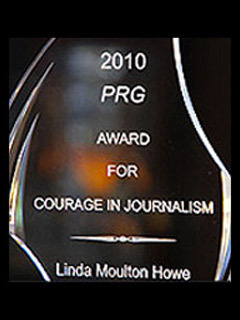 He also taught a college level course there about rock music and edited a newspaper called The New York Daily Planet. 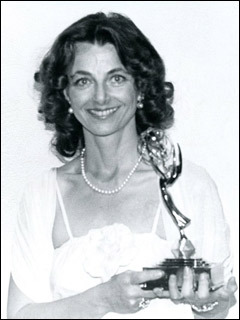 The 1970s were full of UFO and human abduction stories and Michael Luckman started collecting reports ­ including insider tales about the link between some of the greatest rock stars and UFOs. Now he is Director of the New York Center for Extraterrestrial Research. This week I asked him which rock star he thinks has had the strongest link to an extraterrestrial presence. Michael Luckman, Author, Alien Rock: The Rock ‘n’ Roll Extraterrestrial Connection, and Director of the New York Center for Extraterrestrial Research, New York, New York: “The strongest link ­ and there are many strong links ­ but the strongest link if I had to pick one is Elvis Presley. That coincides with the 50 year-plus rock and roll extraterrestrial connection I talk about in my book, Alien Rock. 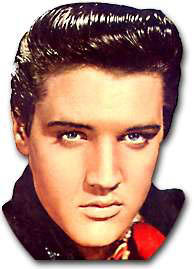 Rock star, Elvis Aaron Presley, January 8, 1935 – August 16, 1977. 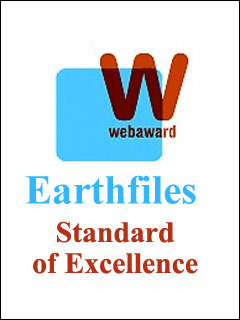 Photo and statistics from Fiftiesweb.com. “- Elvis Presley is the best selling solo artist In U.S. History. “Elvis had so many different experiences. It started when he was born, according to Vernon Presley, his father. There was a strange blue light seen over his home in Tupelo, Mississippi, at the exact moment that he came into this world, perhaps from another world. Elvis had UFO sightings throughout his lifetime, many more than the average person would hope to have. Elvis, as a child, was communicated to, apparently, by two cosmic beings of light, maybe when Elvis was six or seven. This according to Wanda June Hill, who was a very close friend of Elvis ­ one of the last people to talk to him before he died. Wanda interviewed Elvis over the phone and there are audiotapes that exist of those discussions. WHAT WERE THE DETAILS OF THE FIRST CHILDHOOD ENCOUNTER WITH THE LIGHT BEINGS? They were beings of light that showed him what the future would be like. As a child, he didn’t realize what he was seeing, but they showed him like a motion picture, a little snippet of what his future would be like. He sees a man on stage in a white jumpsuit and he does not realize it, but figures out later that’s himself. It also showed someone who was involved with karate. There was enough there that he began to understand it was him he was actually seeing. They informed him, and he believed, that he came from a blue star planet located in the Orion constellation. When this story got out, some of the die-hard Elvis fans and media were playing around with it and trying to suggest that Elvis was an alien. Well, no one’s saying he’s an alien, but he did believe he did have origin from off planet Earth. WHAT DID HE UNDERSTAND THE BEINGS TO BE EXACTLY AND WHY WERE THEY FOCUSING ON HIM HERE ON EARTH? I don’t think he had a clue when he was a child, but what he came to believe was that they were monitoring us and that they were essentially representatives of God. 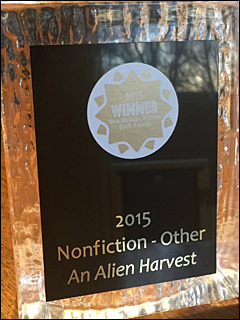 AND YET, THEY TOLD HIM THAT HE ­ AND THE BEINGS ­ WERE FROM A BLUE STAR SYSTEM IN ORION? GIVEN THE FACT THAT SUGGESTS A SOLAR SYSTEM AND NOT THE WHOLE UNIVERSE AT A GOD LEVEL, WHAT DID HE SAY LATER ABOUT THIS ISSUE OF EXTRATERRESTRIALS BEING INVOLVED WITH THIS PLANET AND WITH HIM? Elvis wanted to be what amounts to a modern day musical Messiah. He was not using that word, but he would go and wanted to go to the Middle East and try to use his status to try to bring about peace in the Middle East and put his show business career on hold. This was the very thing that Col. Tom Parker was so upset about. His (Elvis’s) interest, by the way, extended to ­ according to Wanda June Hill, who I believe is legitimate ­ the apparent ability to physically move objects. She claimed he was at his home in Graceland and actually was able to move a large green ashtray which she still has from one end of the coffee table to the other. This was after she asked Elvis about whether he believed in levitation. DID HE GIVE ANY DETAILS ABOUT WHAT HAPPENED WHEN HE WAS 6 OR 7 YEARS OLD, WHAT WAS HE DOING WHEN THE BEINGS FIRST SHOWED UP? IT WAS SOMETHING LIKE SHOWING HIM A MOVIE IN HIS HEAD OF WHAT HE INTERPRETED TO BE HIS LIFE? – The Dead produced 164 songs over a 30 year career. – The average true “Deadhead” spent over $2,000 on Dead concerts and traveled over 3,000 over the past 3 decades. – It is recorded that one person actually spent $13,000 attending Dead concerts. – The Dead, over the length of their career, have performed to more people than any other band in history. skeletons that transform into the members of the band. “WE’VE HEARD THAT CLEARLY FROM SOME PEOPLE IN WHAT IS CALLED THE ‘HUMAN ABDUCTION SYNDROME,’ SOMETHING SIMILAR TO THAT. 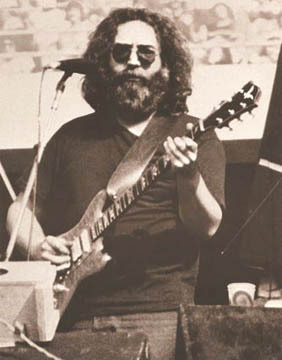 COULD YOU TALK ABOUT JERRY GARCIA’S ABDUCTION? Insectoids. He described them as rather large beings and I imagine that what he meant was something along the line of large praying mantis-type beings or something like that which has been reported from time to time. THAT WOULD BE IMPORTANT TO KNOW BECAUSE SOME PEOPLE HAVE DESCRIBED THE SO-CALLED ANT BEINGS AS TALL, THIN GREYS. BUT THE PRAYING MANTIS IS A DIFFERENT GROUP. I WONDER IF HE DREW ANYTHING OR MADE ANY OTHER DETAILS? He did not draw anything, but he spoke about ­ he was asked when he was interviewed his experience and connection with DMT. DMT is a substance that is a heavy psychedelic substance. There has been a study done of individuals who were put on DMT with the approval of the FDA for experimental purposes. What was found was that the DMT replicates the pineal gland. What they found was that almost every person who was part of the experiment reported having real ­ or felt were real ­ contact experiences with alien beings. DID THEY DESCRIBE ALWAYS THE SAME TYPE? I think they did, but I don’t know if it matched what Garcia was talking about. WHAT YEAR WAS HIS ABDUCTION? I would say it was most likely in the 1970s. He also talked about having communication ­ whether from that encounter or other encounters ­ with beings that he felt were highly advanced. No, he did not describe them. an American of African, European, Cherokee Indian and Mexican descent. recorded with the Isley Brothers, Curtis Knight and various other artists. and Jeff Beck were the three leading exponents of the electric guitar. at one club after another, and then signed a recording contract. for his Monterey, California, major rock star-making appearance. “Jimmy Hendrix was involved with the subject so much that when he passed on, his father, Al Hendrix, commissioned a sculpture. I don’t know where that sculpture is presently. But it was originally intended for his grave site. It was a sculpture of a flying saucer, a large metallic sculpture. So, he was very much into this from the time he was in grade school and on. He saw a UFO at the time ­ and many people did ­ during the filming of the Rainbow Bridge Concert in Hawaii. There was another incident that happened that was more shocking that happened apparently in Woodstock, New York ­ not connected to the concert. But the band was returning home. It was a winter night and the car was stalled in a snowstorm. The temperature was going lower and they did not know what they were going to do. They were even worried about whether they would survive it. According to Curtis Knight, who was very close to Jimmy ­ one of the band people and who discovered Jimmy when he had a group called “Curtis Knight and the Squires” ­ it was an acorn-shaped UFO landed near the car several hundred yards away. A very tall being of some kind came out, sort of glided toward the car. At that point, they felt the temperature was getting warmer and then hotter. All the snow melted. The being was seen apparently looking at Jimmy and Jimmy looking at the being through the car window and the feeling was that there was some kind of telepathic communication going on. The being then left and got back into the craft and the craft disappeared and Curtis Knight felt this literally saved their lives. AND DID JIMMY HENDRIX SAY ANYTHING ABOUT WHAT WAS THE TELEPATHIC DOWNLOAD? No, he never did. He kept that to himself. 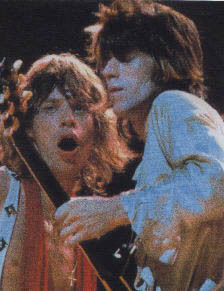 On left is Mick Jagger, lead singer for The Rolling Stones, next to his guitarist, Keith Richards, 1972 concert. Michael Philip Jagger was born July 26, 1943, in Dartford, Kent, England. Photograph and text source: Wikipedia.org. music during his teenage years and formed the band Little Boy Blue & the Blue Boys. due to their mutual love of rock & roll and blues. History and Literature (and not Economics as widely believed). and almost died. The relationship was over by the time she was sent home to England to recuperate. will be the release of the next Rolling Stones album called A Bigger Bang, sponsored by Mercedes Benz. “Mick Jagger was particularly interested in the UFO subject earlier on in his career. He’s still interested in outer space exploration and I guess he believes in extraterrestrials. But he certainly did have an experience when he was out with his then girlfriend, Marianne Faithful, on a skywatch in the English countryside. They saw, and there were other witnesses, a wide cigar-shaped mothership that other people saw as well. He had a UFO detector in one of his estates in England. They were popular at the time. Whenever he would leave and come back, he would find that the alarm had been triggered. What that means, I don’t know. But something had triggered his alarm. Rock star, John Winston Lennon, October 9, 1940 – December 8, 1980. 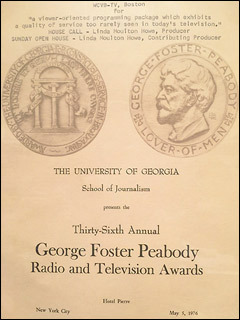 Photograph and text source: Wikipedia.org. backgrounds and experience, though neither pursued them seriously. – Lennon developed severe myopia as he grew up, and was obliged to wear glasses in order to see clearly. without them). In 1966, on the set of How I Won The War, Lennon was issued a pair of National Health spectacles. He continued to wear these round, wire-rimmed glasses which became part of his iconic public image. her body. Julia’s death was one of the factors that cemented his friendship with Paul McCartney, who had lost his own mother to breast cancer in 1956, when Paul was 14. 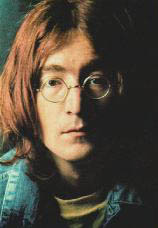 Years later, Lennon wrote the songs “Julia”, “Mother” and “My Mummy’s Dead” regarding his mother, as well as naming his firstborn son, Julian, after her. (a tribute to Buddy Holly’s Crickets), which was later shortened to The Beatles. are fine examples of his unique style. (about his struggles with heroin addiction) and “Instant Karma!”. “John Lennon subscribed to flying saucer magazines for a very long period of time. 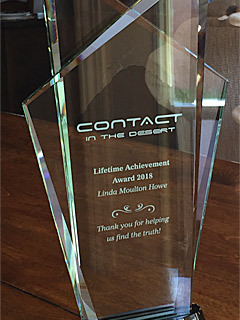 He felt very much different than a lot of people and he thought he might have perhaps been an abductee himself, although there was nothing specific to connect him to that. But he felt that perhaps he was. He had a sighting when he was living with his then girlfriend, Mai Ping, on Manhattan’s Upper East Side. The two of them happened to be dressed and they saw from their penthouse rooftop apartment a flying saucer at very close range, maybe several hundred feet long. It was quite large. He described it as being saucer-shaped with lights around the rim and a red light on top, capable of holding perhaps two human-sized passengers. He was very excited about it. He could not stop yelling, ‘I’ve seen a flying saucer! I’ve seen a flying saucer!’ He could not get over it. He called the local newspapers. There had been a few reports of a UFO that night. They took some pictures, but unfortunately, they did not turn out. He went to great lengths to say that he was not on any substance at the time that happened. He was very strongly into the subject. He mentions on one of his albums that there are UFOs over New York, ‘and I ain’t too surprised’ were the exact words that he used. ‘I AIN’T TOO SURPRISED.’ MEANING HE EXPECTS THEM TO BE THERE SOMEWHERE. Yes. Now, there was a more extraordinary, more recent sighting that happened to John, according to Uri Geller, the psychic. It’s an amazing story and I don’t know what to make of it, frankly. But Uri claims that John told him ­ they were close friends ­ that John was asleep at the Dakota (apartments) and he saw a light coming through from around the door of his apartment. Yoko Ono, his wife, was asleep in bed. He got out of bed and opened the door and was met by three or four small alien beings, presumably greys, with spindly arms and legs. They had some kind of communication with him. It’s not exactly clear what was communicated, but they gave him a gift, if you will. They left him with something, an object, which he gave to Uri Geller. This all happened weeks before he was assassinated. The object is a small, smooth, round, egg-shaped ball, metallic. Uri still has it. So far, he still hasn’t been willing to have it analyzed. I think that’s a mistake because if it is something real and is not on the Periodic Table of Elements and it’s by its nature, extraterrestrial, then it’s the ultimate extraterrestrial evidence. He hasn’t been willing to have it tested. That’s a mistake. DID URI GELLER SHOW YOU THE OBJECT? No, he hasn’t shown me the object, but I’ve seen a photograph of him holding the object. It’s quite small, maybe a couple of inches tall. It’s a metallic, brass-color, egg-shaped object. SO IT SITS SORT OF VERTICALLY AS OPPOSED TO HORIZONTALLY? DID HE, URI GELLER, SUGGEST THAT HE KNOWS, OR JOHN LENNON TOLD HIM, WHAT THIS OBJECT IS SUPPOSED TO DO? He said that he felt there was more to it, that John had not told him much about it, but that Uri thought it had some deep meaning, but he never got it out of John. 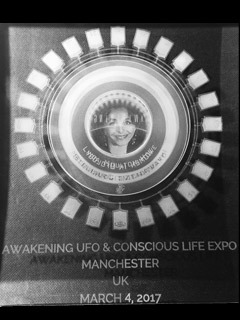 WHY WOULD JOHN LENNON HAVE GIVEN A GIFT FROM EXTRATERRESTRIAL GREYS TO URI GELLER? That’s a very good question. I’ll have to ask Uri that. I have no idea. they were very, very close. In fact, they used to meet once a week at the Sherry Netherlands restaurant to discuss UFOs and the paranormal. WAS THERE ANY CONSENSUS OUT OF THIS RESEARCH ABOUT ROCK STARS HAVING INTERACTIONS WITH PERCEIVED NON-HUMANS, A CONSENSUS ABOUT WHAT IT IS THAT THE NON-HUMANS WANT AND WHY DON’T THEY JUST PHYSICALLY SHOW UP HERE? I think they are involved in a process. In one chapter, I call ‘EMF, or Extraterrestrial Musical Forces,’ which is a term I coined ­ it turns out that many major rock stars described the song writing process as not only being mystical, but furthermore, that they feel they are channeling the music. this includes the Beatles. Paul McCartney cannot read or write music. 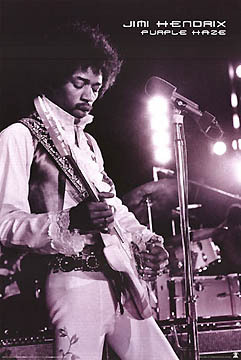 Jimmy Hendrix could not read or write music. This includes a whole lot of people. Not only are they channeling the music and not knowing where the music and lyrics are coming from, but they are also over and over again, you have major artists talking about how the music on stage when they are doing a performance, how they are not in control of it. They are along for the ride. You hear that repeated over and over again. This goes on to the extreme of people on stage in a major band, or bands, where there might be 6 or 8 musicians on stage where music is being played. They have no idea where the music is coming from. They know where some of the music is coming from, but there is other music that they don’t feel they are creating. IF THE MAJOR ROCK STAR GROUPS WERE CHANNELING INFORMATION FROM EXTRATERRESTRIALS OR OTHER DIMENSIONALS, WHAT WOULD YOU SAY IN 2005 IS THE LEGACY OF ALL THAT CHANNELED MUSIC? Michael Luckman’s newly released book is available now at amazon.com, Barnes & Noble and local bookstores.